One week from today Sherry will be back and sharing her Tea Tyme project. In this workshop you will create a one of a kind, circular shaped project. Layering, sectioning and distressing makes this creation simply unique. 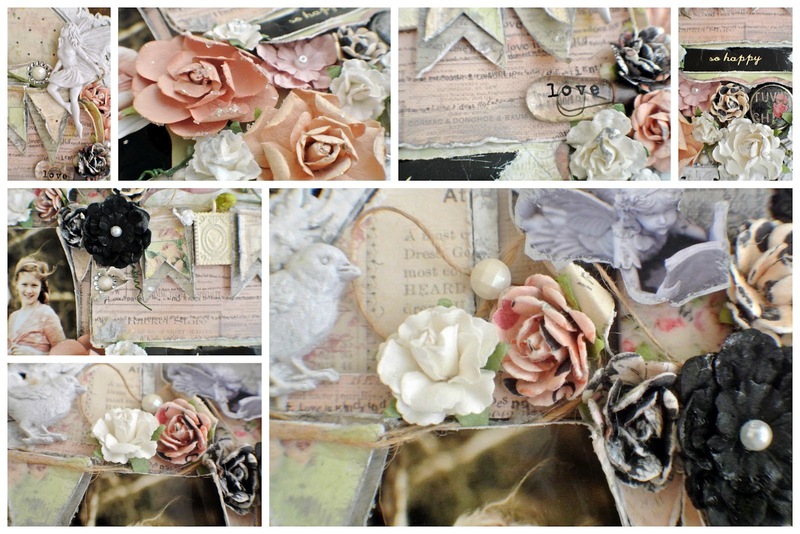 You will then fill it with gorgeous clusters of Prima flowers, trinkets and embellishments. As an added bonus, you will receive a copy of Prima's new Art-Zine. Of course, you will go home with a finished page AND LOTS OF PRODUCT! We still have a few available seats, so call today!